Today was the Grand Opening for Pure Barre Buffalo!! I thought this appetizer would be a fun way to celebrate! I only used a tiny smear of goat cheese, and a little bread in moderation is alright by me. I was actually surprised to learn that goat cheese is one of the healthier cheeses out there. I always thought it was one of the worst! This article talks about the health benefits of goat cheese in comparison to others. 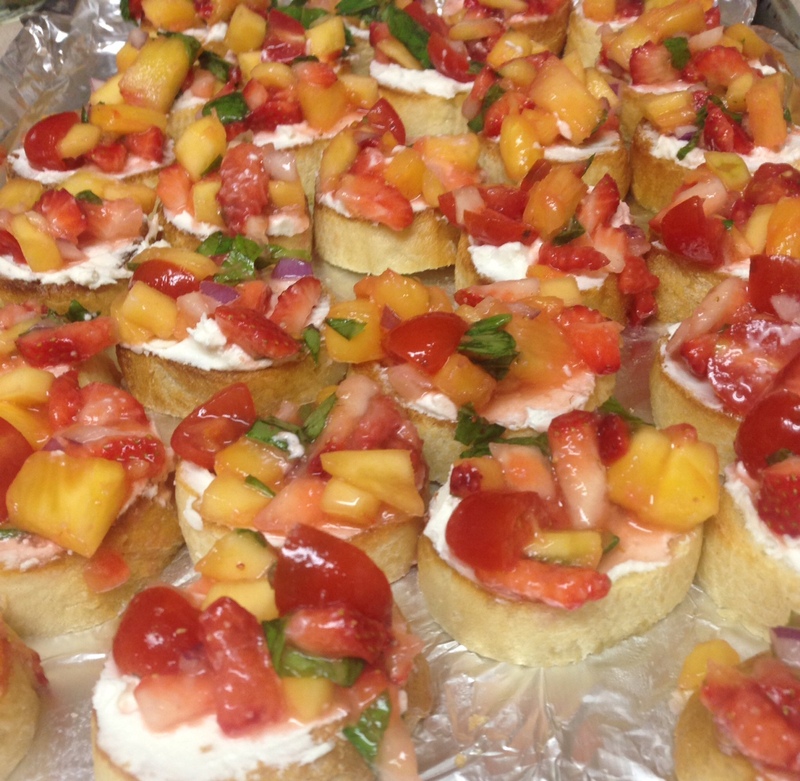 Such a sweet and savory appetizer! 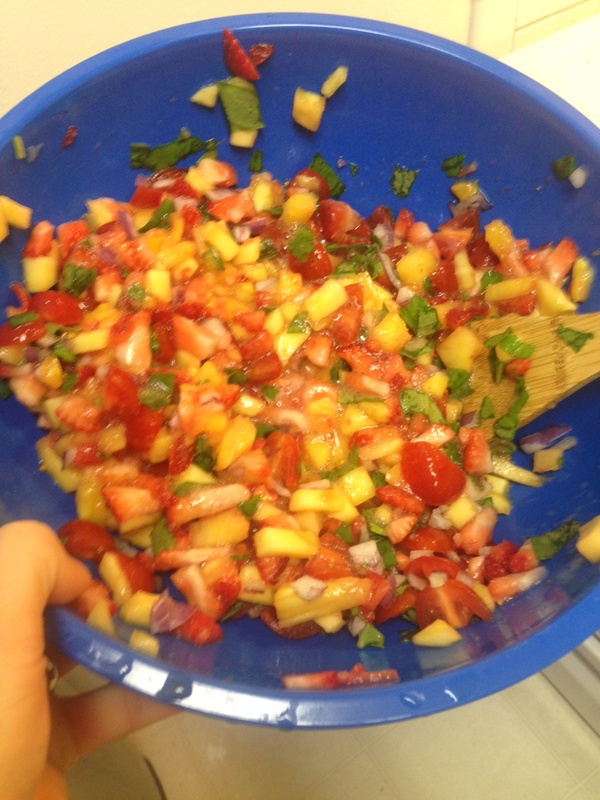 Start by finely chopping the mango’s (peel first), strawberries, tomatoes (quartered), chopped basil, red onion and place into a bowl. Add the garlic powder and a pinch of salt. Place the baguette pieces onto a baking sheet and drizzle with olive oil, place under the broiler until slightly browned (2-3 minutes). Evenly spread the softened goat cheese over the toasted baguette. Top each baguette with a the fruit mixture.